Here are a few must-have apps to make sure your photos and videos shine on Instagram. The ever-growing number of Instagram users, long with the new changes to the algorithm, make it harder than ever to get noticed on this social network. That’s why it’s a must to give your posts the utmost visual quality, and make them look as professional as possible. Read on to discover 20 tools to help you make sure your photos and videos stand out from the crowd. One of the toughest aspects of making sure you have a professional feed, is to assure you’re using high-quality filters. The ones Instagram offers by default tend to give a look that’s too artificial. That’s why it’s recommended to use other tools that let you control every single parameter. Tools like VSCO Cam can help you add professional-looking filters to your photos. The app offers tons of editing possibilities that let you adjust the properties of each image easily. VSCO has a high number of presets that no other tool can compare to. Another one of the most well-known apps for enhancing your photos is Snapseed. This tool developed by Google even lets you save your editing parameters to apply them to future images. Plus, it makes it easy to share your images on social networks like Facebook, Instagram, or Flickr with just a tap. Here’s a tool that’s been downloaded millions of times on Uptodown. Cymera is an app that offers simplicity as its biggest strength, and lets you give a fresh new look to your portraits. With A Color Story, you can add filters to your photos that exponentially improve aspects related to the different colors in each photo. With its brilliant color effects, your images are sure to stand out on Instagram. And of course, we couldn’t forget about Adobe Photoshop Lightroom. After all, it’s one of the most used by professional photographers on PC and now you can use it on mobile devices too. All you have to do is import your galleries and start adjusting lighting and colors to get a impressive results. If you’re interesting in learning more, you can check out this list of features you can use in Lightroom. When it comes to starting the editing process, we can highlight another series of apps that offer tons more features aside from adjusting the color and other visual parameters. Canva and Pixlr are two of the best online editors for creating compositions without having to use more complicated PC programs like Photoshop. Now, these apps have arrived on Android to make it possible to retouch photos and create attractive designs from the comfort of your smartphone. Along the same lines, PicsArt offers an interface packed with options that can help you get the very most out of your photos. You can easily add stickers to your images or give them eye-catching light effects that mimic the surroundings to perfection. Setting aside apps that aim to perfect every aspect of your photos, you’ll find many others that allow you to take many of their parameters to the extreme, for much less conventional results. With Prisma, you have endless filters to give your Instagram feed an original artistic touch. The lines and contours of the elements in the image turn into polyhedrons to give surprising results. Without a doubt, if Mondrian or Picasso had smartphones, they’d have used this app. If what you’re looking to do is turn your Instagram profile into a museum, in the Android catalog, you’ll find apps like PORTRA and BrushStroke to transform your photos into watercolor or oil paintings, respectively. More contemporary art also has its place on Instagram. If you want to try giving your photos a futuristic look, full of psychedelic curves and lines, Glitch! is your app. With Glitch!, you’ll makes sure none of your pictures go unnoticed on Instagram. Even though present-day smartphones aim to use lenses that offer the best possible resolution, the love of all things old-school is still in style. Thus, we have plenty of apps that imitate the photos of yesteryear. HUJI and Kuji Cam are two similar apps that let you relive the good old days of taking pictures with a real camera like back in the 80s and 90s. The interface even offers the possibility of looking through a viewfinder on the screen. Retrica is another one of those apps that let you give an old-school look to your photos. In this case, you have tons of filters to give each image a look that’s straight out of the past. You can even put together multiple photos to create beautiful collages. While people are using back cameras more and more, the front camera continues to be the camera of choice for taking the best selfies. Tools like Sweet Selfie – Candy New Name and B612 can help you take your basic selfies to the next level. Through the multiple options these apps offer, you can add filters along with fun stickers to make the pictures taken with your front camera really shine. Not everything on your Instagram profile should be static. It’s always a great idea to upload videos from time to time. But you can’t forget to edit these as well. If you’ve ever worked with Adobe Premiere on a PC, then using this post-production tool on your smartphone will be a piece of cake. With Adobe Premiere Clip you can take the ‘scissors’ to any video to cut and merge different parts on a time line, and even add effects and other resources. However, you may not need such a professional tool and instead, you’re looking for an app to get quick results for your videos. In that case, you can use apps like Magisto: Magical Video Editor. On its interface, you just have to enter the videos you want to merge together and select the music you want to accompany it. It’s one of the easiest ways to create quality videos in no time at all. And to optimize your videos according to the length Instagram allows for posts, you can use a tool like VUE that lets you almost automatically create short cinematic compositions between 10 and 180 seconds. Thanks to the ‘luts’ the app includes, you can give your recordings a really professional look. 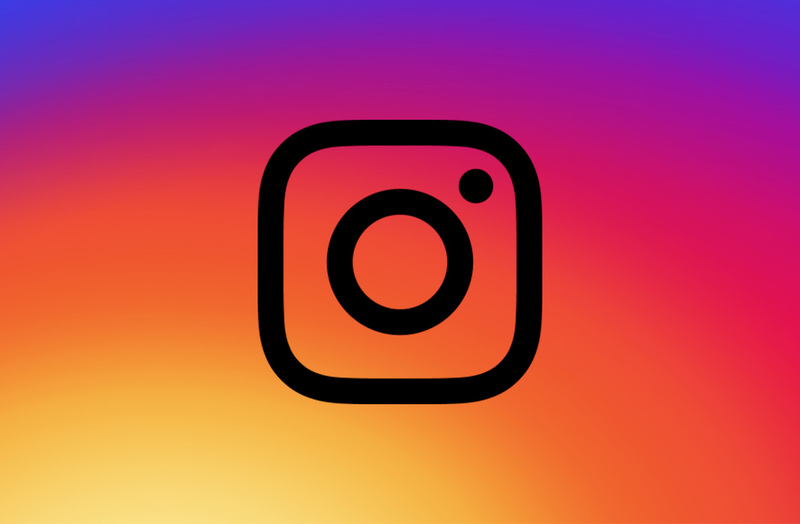 Even though Instagram Stories have been taking over in terms of popularity on Instagram, that doesn’t mean you should forget about your traditional posts. After all, they are the backbone of your account. As it should be clear by now, there’s no limit to the number of tools available for making your photos and videos irresistible. 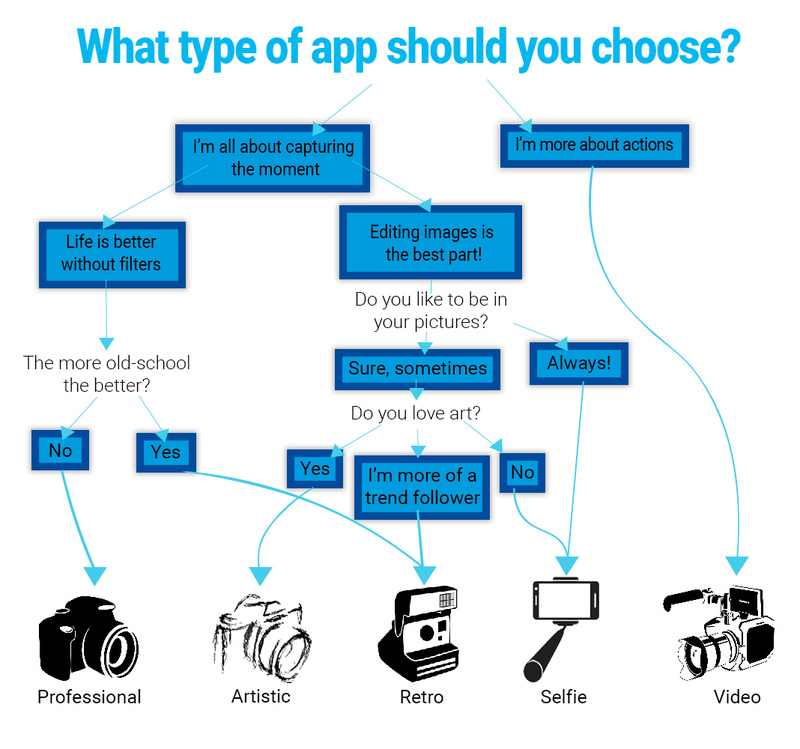 If you’re having a hard time choosing, check out our little guide to help you find the perfect type of app for you.